When it comes to inspiring underachieving gifted students, a one-size-fits-all approach just won’t work. 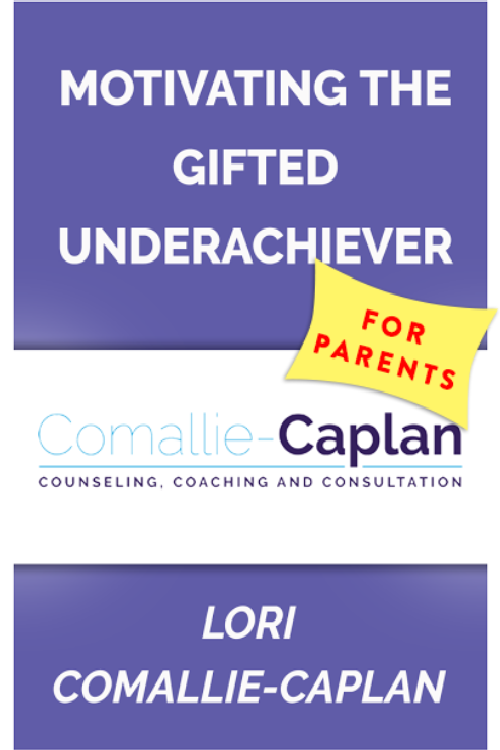 In this course, Lori Comallie-Caplan helps parents and teachers understand some of the root causes of underachievement. She offers suggestions on how to create a climate that fosters motivation, and then, how to sustain that motivation once students find it. Ms. Comallie-Caplan is a New Mexico Licensed Master Social Worker and a Licensed Educational Diagnostician with a Masters Degree in Psychological Counseling. Additionally, she holds Advanced Certification for Mediation from the University of New Mexico School of Law. Ms. Comallie-Caplan has 30 plus years of experience in the field of counseling, coaching evaluation, mediation and educational consultation. She is best known for her work with gifted individuals through the lifespan and frequently provides professional development for school districts and mental health professionals in the social emotional needs of the gifted.